Has anyone grafted Ranger doors and the back of a cab to an Explorer? I am looking at the excellent description of how to put the Explorer engine into the Ranger but wonder if it would be easier to cut and weld the Ranger cab to the Explorer windshield and floor pan? I haven't checked the wheelbase for compatibility because honestly I'm lazy and hoping to get answers from somebody that has looked at it the same way. I have no problem doing the conversion as it has been described on this forum. My (CA) state laws require a "referee"( smog) inspect it and add a specialty tag. I'm sure the state will want higher license fees too as their form ( required for the "engine change") asks costs of the donor engine and all labor involved. If I convert the existing Explorer , I am only doing "body customizing" that doesn't need the form/inspection/additional money-hassle. Hopefully the doors interchange , I can graft on the back half of a Ranger cab and bolt on a Ranger bed. '98 Ranger to 98 Explorer. THANK YOU in advance!!! I'm not a newbie except on this site and appreciate anything anyone has to offer on the subject. I don't know of anyone who has gone thru that. I do know the Explorer frame is several inches wider than a Ranger frame for installing a shortened bed. The Ranger and Explorer body lines are also completely different. Thank you! Before I dove into it I was hoping someone else could save me the effort / grief. Looks like you have. Much appreciated. Back to the engine swap. Cut and dried. Good lord! At least that monstrosity is where it belongs. I thought it was too original to let slip quietly off to the crusher without being preserved in pictures. Someone put A LOT of working into hacking up a 5.0 Mounty. the doors use the same hinge as the ranger and are spaced the same, so the ranger door will bolt to the explorer B-pillar, then you could run a a ranger clip 93+ to match the doors, and then it would just be welding in the back wall and back door frame. I think it would be far less work to just leave California and go somewhere with sensible laws. I just picked up a 1994 explorer to do a ranger conversion for using around the property and runs into town for matirials that I dont want to put in the bed of my pristine 2017 f250. 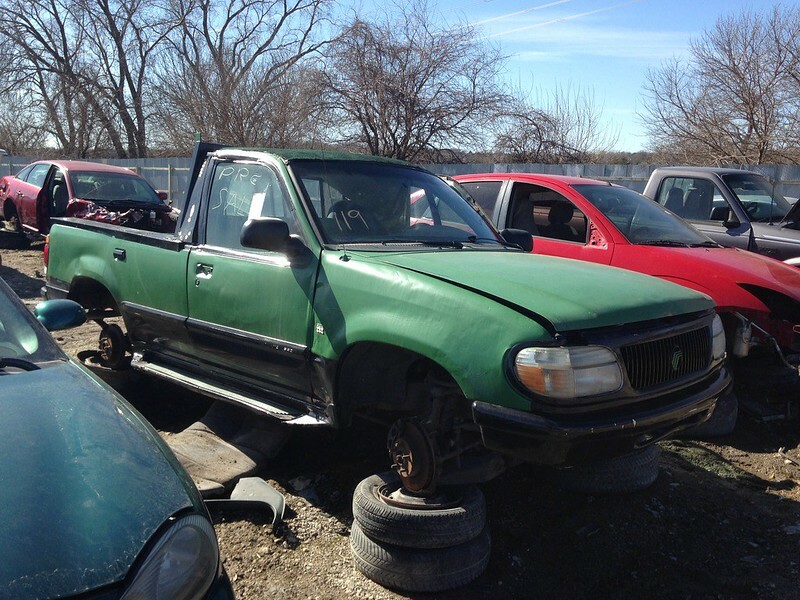 Looks like the cheapest and easy way is to get a non running 2wd short box ranger. Remove the cab and place on explorer frame. Then cut the explorer frame behind the rear seats and graft the ranger frame backend onto it. Why not just find a cheap small pickup truck? 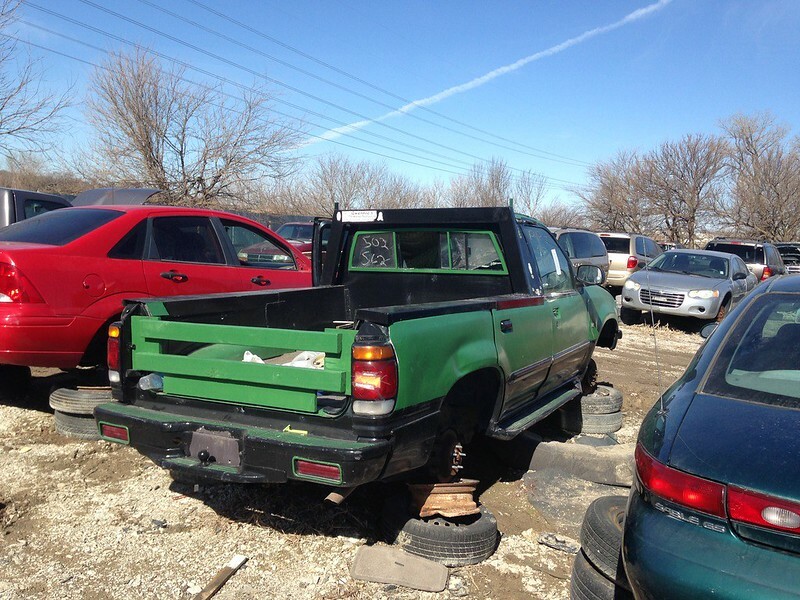 That sounds like a lot of work to have what is basically a regular cab/short bed 4x4 pickup. If you figure in the time of your labor I bet you the cost triples doing that over just buying a truck. Because pickup trucks are so rare you want to make your own? Man, around here I can go out and find mid 80-to early 90s short wheelbase 4x4 Rangers all day long under $1000. A lot of them will even run. Almost impossible in my area to find a 89 to 92 short box regular cab with 4x4 auto and 4.0. I paid $400 for my escape and drove it home. Should be able to pick up a busted 2wd for around $300 to $400. After doing the swap you have almost a whole pile of scrap that will get you $300 at the scrap yard. So for around $500 I can build a truck that I want and it will have the heavier exploder trans and running gear. FWIW I had Explorer springs in my longbed. It took a lot of weight in the bed to get it to ride decent, honestly it road like a oversprung one ton when empty.